People around the world have been both saddened and outraged by the recent tragedy in which Nurse Jacintha Saldanha committed suicide after transferring to the primary nurse of Kate Middleton, Duchess of Cambridge, a prank phone call from Australian radio DJs Mel Greig and Michael Christian. In the prank call, made to the King Edward VII Hospital in London, the DJs impersonated Queen Elizabeth II and Prince Charles, and received confidential information about Kate’s medical condition related to her difficult pregnancy. The reaction to the suicide has been swift. Angry messages began pouring in to the Sydney-based radio station 2Day, on which the prank call was aired multiple times, and to the DJs various online messaging accounts. The DJs themselves were crushed. Something they had done as a light-hearted prank, never expecting even to get through, led to the death of a fine nurse who was a wife and a mother of two. In the aftermath their show was canceled, though as of this writing the DJs have not been fired. The radio station did, however, put a ban on future prank calls, and pledged at least $500,000 to a fund supporting the bereaved family. It’s easy to condemn the pranksters, and put all the blame on them for the death of an innocent, hard-working woman. Yet their actions form only the most visible part of a vast web of people, influences, and events that resulted in the tragedy of Nurse Saldanha’s death. If we follow out some of the strands of that web, we find that thousands, even millions of people are involved. Let’s follow some of those strands. 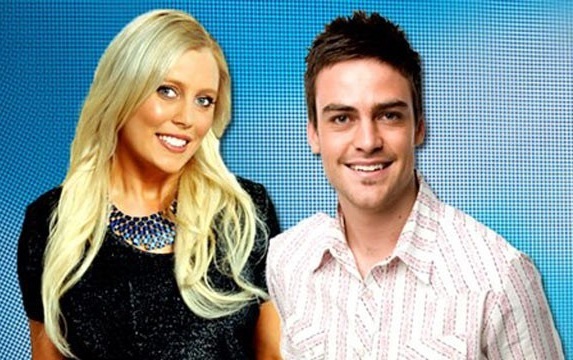 Mel Greig and Michael Christian are not the only media personalities that make prank phone calls. It is a common practice of radio DJs around the world, not to mention a number of television show hosts. Why do on-air personalities make prank calls? Because hundreds of millions of listeners think they’re funny. The practice goes all the way back to giggling pre-adolescents who think it is very funny to call (or these days, send electronic messages to) random people and pretend to be someone they are not. Adults think such things are funny, too, as attested by the long run of the classic TV show Candid Camera, in which hidden cameras caught ordinary people being pranked. The MTV show Punk’d is a more recent version of the same idea. In other words, Mel Grieg and Michael Christian were simply playing their part in a popular style of pranking that children and adults alike have enjoyed for decades, if not centuries. Grieg and Christian did not act on their own. Before they aired the prank call, it was run by the radio station’s legal department, which gave it the green light. In general, laws hold that pranksters are legally culpable only if they could have reasonably expected some serious damage to occur as the result of their prank. And these DJs never could have anticipated that as a result of their joke, someone would wind up dead. In other words, the many thousands of people who make and enforce the law have generally accepted pranks as a bit of innocent fun, thus giving the green light to those who enjoy pranking. And of course, the advertisers who pay for the station and all its employees like anything that draws in audiences for their ads. Pranking does just that—until a tragedy such as this one causes things to go sour. In short, Mel Grieg and Michael Christian were simply the visible tip of a very large iceberg involving thousands and millions of radio stations, advertisers, lawmakers, lawyers, and listeners. All of these have decided—at least up to now—that prank calling is all in good fun. Can we really place all the blame on the DJs when so many more people are behind them? The other side of the coin is the reaction to the prank on the part of the nurses, the hospital, various governments and government agencies, and the wider public. We couldn’t possibly cover everyone involved. But we can look at some of the participants. We will likely never know everything that was going on in the mind and heart of nurse Jacintha Saldanha when she took her own life after taking the prank call and passing it on to the floor nurse who was caring for Kate Middleton. As of this writing, her suicide note has not been made public. However, whatever the circumstances may be, suicide almost always leaves deep scars on the lives of many people who knew and loved the one who took his or her own life, and on a widening circle of friends and acquaintances. The person who commits suicide, together with all the pressures and influences on that person, is another key strand in this tragedy. Certainly one of the biggest pressures on Nurse Saldanha was the great reverence that millions of people have for the British royal family, and for royalty in general. In many people’s minds, royalty is an exalted tier of humanity. In this atmosphere, any harm or disgrace brought upon a royal is far more serious than harm or disgrace that may be brought upon a lesser mortal. In fact, the prank call did not turn up any terribly sensitive or damaging information about Kate Middleton. Probably the “juiciest” detail was that she had suffered from vomiting. How unusual is that for someone who is in the hospital? Yet because it was information leaked about a duchess, and not about a barmaid, one of the nurses responsible for the breach of confidentiality apparently felt that she had committed an act horrible enough that it required ending her own life. 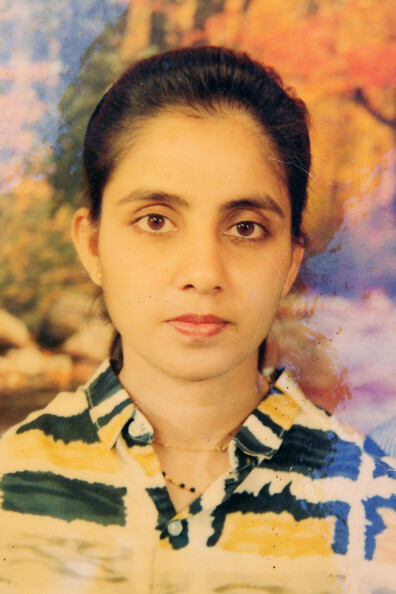 All of the millions of ordinary people, not to mention the people in various governments and media organizations, who place royalty on a high pedestal and create an air of greatness and seriousness around these personalities are also part of the web of people who contributed to Nurse Saldanha’s suicide. And now, millions of people who have heard about the prank call and suicide have responded, often very angrily, creating a major stir and a media sensation surrounding the story. The same media that happily airs pranks of various kinds for the enjoyment of its audience and the profitability of its business is just as happily feeding the tragedy-hungry public with regular updates on this story as fast as it can get its hands on new information. So who caused this tragedy? In a sense, everyone did. We humans are so interconnected with one another that if we follow the ripples out from any one person or event, we discover that that person or event is connected to every other person and every other event. Yes, some of the connections are very close and powerful, while others are not so close—and some are so distant that their influence merges into a faint background noise. But everything still is connected to everything else. Everything that any one of us thinks, feels, says, and does is influenced by, and in turn influences, dozens, hundreds, thousands, millions, and billions of other people and events. We humans do have a sense of individuality, and that is good. Each one of us is indeed unique. But that uniqueness is not the result of being separate and apart from everyone else. It is the result of being a unique point in a vast web of human relationships and realities. Each one of us is a unique part of everything, and everything is a part of us. It takes a global village to make a tragedy. Each one of us is part of that village. It also takes a global village to heal from tragedy. Each one of us is part of that village, too. May the healing begin, and may we each contribute to its success. ‹ Can Christians be Hardass? Good post, one of the more reasonable I’ve seen on the topic! I’ve heard both sides on this one. This post got it wrong. I would say the one group who DIDNT do wrong was the Nurse’s FAMILY…remember THEM?? Mel Greig and Michael Christian broke the law, both Australian and British. Maybe Indian as well. By now, everyone knows they disregarded their VERY specific training on this, and the station is covering up as well. The hospital did NOT provide the support Jacintha needed on this kina of matter, or to protect the Duchess. But the question remains when will behavior stop so it IS NOT NECESSARY TO DO SO. Thanks for your comment. I’m with you about prank phone calls. I’ve never liked ’em. Unfortunately, you and I are in the minority. Millions of people think they are very funny. That’s why radio stations and TV shows dish them up. When millions of people change the way they think, then it will no longer be necessary to deal with the unforeseen consequences of silly pranks. We’re all interconnected.